Looking into 2019, Deontay Wilder refuses to look past a rematch with Tyson Fury, claiming fighting Anthony Joshua would be “dumb” before settling the score with the lineal heavyweight champion. On December 1st, Fury and Wilder would go the distance in a split-decision draw that would cause the immediate call for a rematch between the two. 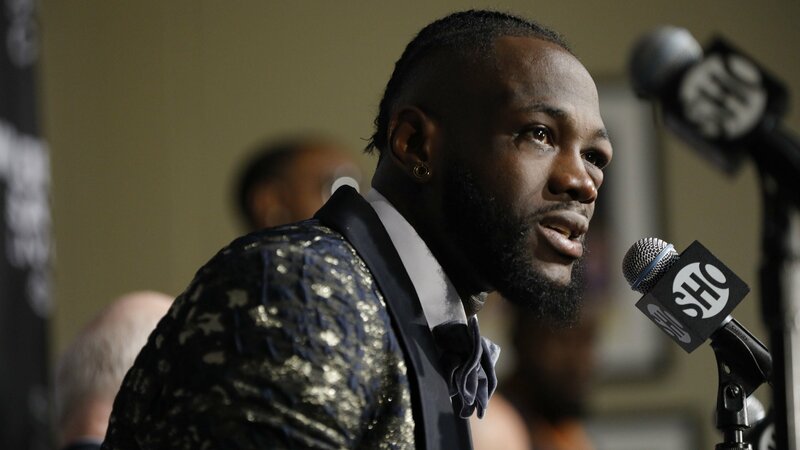 Even with Wilder casting no doubt over what he wants to do next, unified champion Anthony Joshua has continued to call out Wilder for an April 13th fight at Wembley Stadium. Joshua was called into the ring on Saturday night by Dillian Whyte, following Whyte knocking out Dereck Chisora in the 11th round. Whyte demanded to be first in-line for a shot at Joshua this April, only to find out that Joshua put him third behind Wilder and potentially Jarrell Miller for a fight at Madison Square Garden. The move by Joshua would cause the O2 Arena to erupt in boos, which would please Joshua to know end. “I heard they were booing the s*** out of Joshua,” Wilder told FightHype.com. “I got some texts or whatever saying the whole entire arena was booing him. “Right now, it’s all about enjoying the holidays, coming into the new year, enjoying the new year, then getting back at it. “I’m going with Tyson Fury. For sure. We’ve got to do the rematch. It gotta come right back. It was a controversial fight and when it’s like that you’ve got to come back.